Kevin Mills | The Chamber Music Society of Lincoln Center. Cellist Kevin Mills has dedicated his life to storytelling through classical music. He has participated in international music festivals like the Luxembourg Music Festival, the Schlern International Music Festival in Italy, Saarburg Festival in Germany, Summit Music Festival, the Heifetz Institute, and the Greenhouse Memorial Festival. He made his New York City recital debut at the Goodman Recital Hall in the Kaufman Center in 2011. From 2009 to 2011, he was invited to perform in the legendary master classes with Bernard Greenhouse of the Beaux Arts Trio, an experience that was a turning point in his musical life. He has been awarded top prizes in competitions such as the Music Associates Competition at the California State University of Fullerton, the Los Angeles American String Teachers Association Competition, and the Rio Hondo Symphony’s Young Artist Competition, which led to a special performance of the relatively unknown Second Cello Concerto by Dmitri Shostakovich. 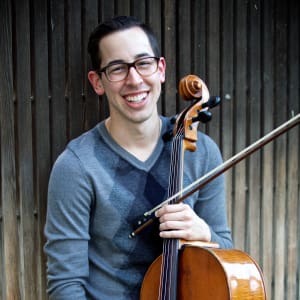 Mr. Mills studied at the California State University of Fullerton under the tutelage of Bongshin Ko, and is currently pursuing his Master of Music degree at The Juilliard School under the direction of Darrett Adkins. Most recently, he has been invited to compete in the First International Klaipeda Cello Competition in Lithuania and in the fall will attend Oberlin Conservatory to begin an Artist Diploma.